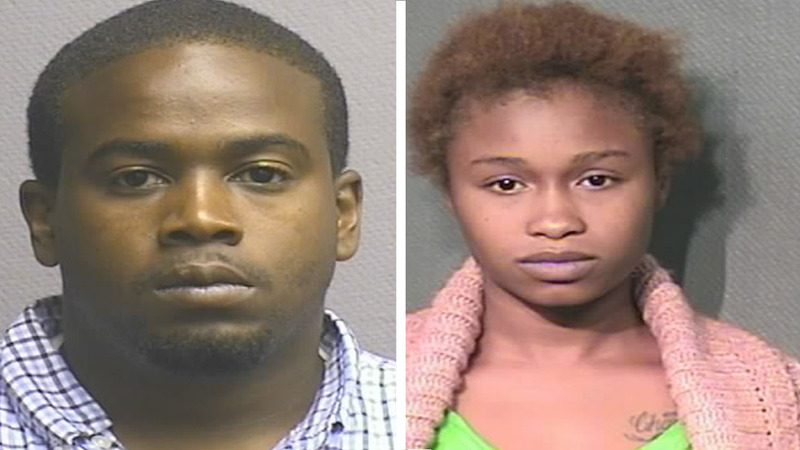 Charles Gilbert Jr. (Left) and Dwanae Jorden (Right) were charged in connection to stolen luggage. HOUSTON (KTRK) -- Two people have been arrested and charged in connection to stolen luggage from George Bush Intercontinental Airport. HPD says Charles Gilbert Jr., 23, and Dwanae Jorden, 22, were arrested last week for allegedly stealing luggage from the baggage claim. According to police, 11 pairs of shorts, bags, cosmetics, jacket, shoes, shirts, underwear and pajamas were among the stolen items. Gilbert and Jorden are accused of stealing the luggage from IAH between June 30 and July 16. Both have been charged with theft.